Twelve lost boys, their coach, and the heroes who rescued them. 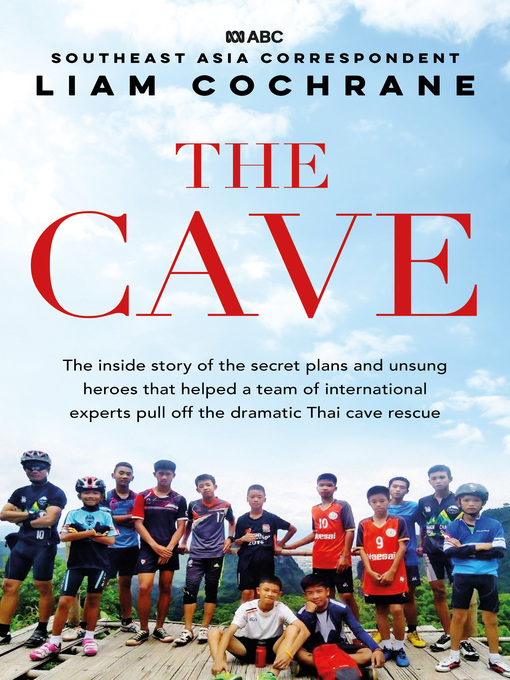 When the 12 young members of the Wild Boars soccer club walked into a Thai cave with their coach, they expected to be out by nightfall. A birthday cake waited in the fridge for one boy, another boy had a tutoring class. They had rope and torches but no food. Then a sudden monsoonal downpour flooded their route out. They were trapped - imprisoned in a cave said to be haunted by a mythical broken-hearted princess. So began the greatest search-and-rescue mission in living memory. People from across Thailand, and soon from across the world, joined hands to find the boys and get them out. ABC foreign correspondent Liam Cochrane was on the ground as the dramatic events unfolded. Using his local knowledge, and working with a team of Thai researchers, he puts us at the centre of the story, witnessing the boys' agonising wait, the divers' battle against muddy torrents, the race to pump out flooded caves, the secret drilling plans. He reveals fresh details about the boys' time inside the cave, the role of a revered mystic monk, and sets the story in this kingdom under military rule. Amidst the hope, there are tensions, tragedy and powerful players guiding the rescue. But most of all, this is the inspirational story of an amazing group of boys and what can be achieved when the world unites.